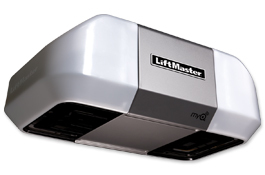 •MyQ® technology enables you to securely monitor and control your garage door opener and houselights with your smartphone, tablet or computer. •Alerts can be received as email or pop-up (push) notifications on your mobile device so that you always know the status of your garage door and houselights. •MyQ mobile app is a free download requiring no annual activation fee. 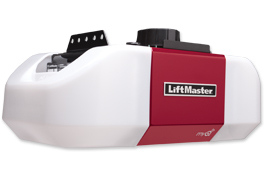 •P3™ Motors from LiftMaster® are reliable, durable and powerful – designed specifically for your needs. •DC motor belt drive system is powerful yet ultra-quiet and maintenance free. 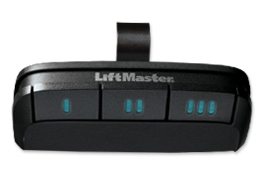 •Battery Backup powers up even when the power is down so you can get in your garage. •Energy-efficient operation consumes up to 75% less power in standby mode. 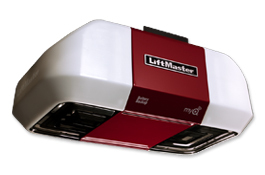 •Lifetime motor and belt, 5-year parts and 1-year battery backup warranty. •Security+ 2.0™ safeguards your household – with every click a new code is sent to the garage door opener so that the door opens only for you. 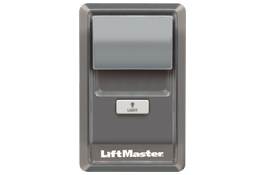 •PosiLock® locks down your door by electronically monitoring against a forced opening. •Timer-to-Close remembers to close your garage door when you forget – automatically closes the door after a pre-programmed number of minutes. 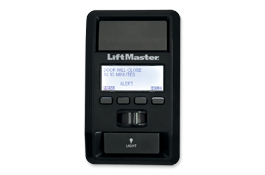 •Alert-2-Close warning system provides audible and visual warnings when the garage door is about to close when using MyQ technology or Timer-to-Close. 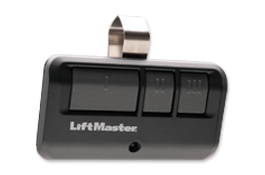 •Motion detector activates the garage door opener lights as soon as you walk in so no more fumbling in the dark. •The Protector System® has safety sensors that project a light beam across the garage door opening automatically reversing the door if anything interrupts the beam. •¾ HP motor combines a strong pulling force with a steel reinforced belt to lift heavy doors and reinforced doors in high wind areas. •Belt drive system means ultra-quiet performance – ideal if your home has living space above or next to the garage. •Motor Vibration Isolation System (MVIS®) provides super quiet, smooth operation year after year. •Lifetime motor and belt warranty, 5-year parts warranty. •1/2 HP motor with belt drive system provides quiet, reliable and maintenance free performance. •Lifetime motor and belt warranty. 1-year parts warranty.